Whether you’re doing new model launch campaign or one that increases dealer traffic, it is critical to reach and thrill your audience. 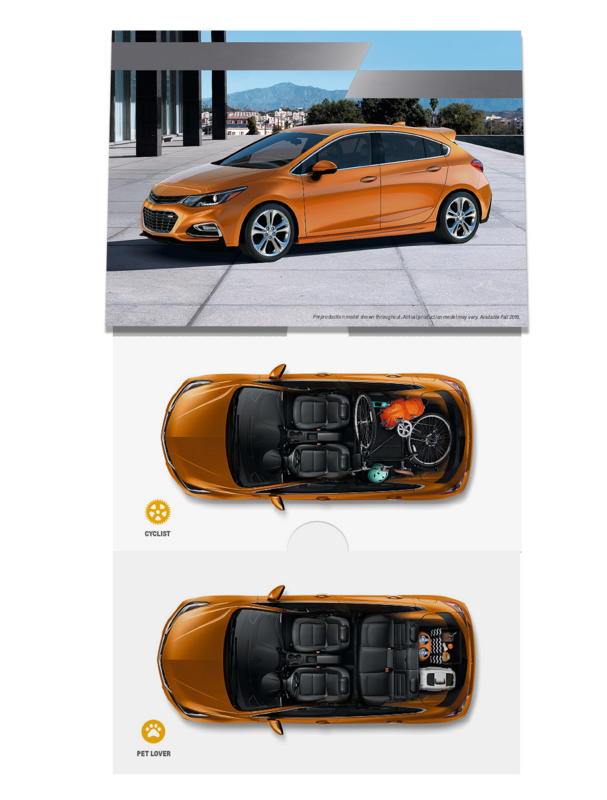 At JohnsByrne, we work with the most prestigious and well-known auto manufacturers and their agencies to deliver impactful print and packaging. It is our mission to make your direct mail, welcome kits, or custom collateral stand out with innovative, one-of-a-kind print and unique structural solutions that drive more customer response, interest and brand loyalty. Get more traction with new ideas for your automotive campaigns. With our creative high-impact direct mail, welcome kits, and specialty printingyour customers will interact, THEN ACT. Comprehensive Print and Packaging Solutions for the Automotive Industry and Your Agencies. Check out the latest from our workshop. Check out some of our unique press and finishing effects. JohnsByrne understands the need for speed in the automotive industry. Whether it’s an upcoming launch, a new driver program or a new campaign or loyalty program, we understand the fast-paced environment of the auto industry. Our state-of-the-art pressroom offers limitless options when it comes manufacturing unique structural or interactive pieces that demand attention. Thanks to our synergistic, collaborative approach to working with customers, we are able to build strong relationships that are based on success. From early collaboration through execution, we work side-by-side with our customers to ensure that the final product is flawless and of unparalleled quality. Our culture of “yes” also allows us to press the limits on every project to achieve the goal of our clients. No matter what you have in mind, we are always ready to find a print solution that combines the best in technology, print and design to create a final piece that drives consumers to take action–all the way to the dealership. Our in-house team of structural designers and project managers, as well as an end-to-end manufacturing process, is the perfect engine to your campaign. Contact us today to discuss your upcoming print campaign!